"The Anchor Man." Boy's Life Sept. 1971:36. Double Vision: American Thoughts Abroad. New York: Macmillan, 1964. Indian Summer. New York: Random House, 1966. Morning in Antibes: a novel. New York: Macmillan, 1962. "My Separate Peace." Esquire Magazine Mar. 1985: 106-109. Presented here with permission. Pace Separata: Bromanzo. Milano: Bompiani, 1962. The Paragon. New York: Random House, 1971. Peace Breaks Out. New York: Holt, Rinehart and Winston, 1981. Peace Breaks Out. New York: Bantam Books, 1982. Phineas: Six Stories. New York: Random House, 1968. A Turn with the Sun. Summer Street. The Peeping Tom. Martin the Fisherman. Phineas. The Reading of the Will. The Private Life of Axie Reed. New York : E.P. Dutton, 1986. 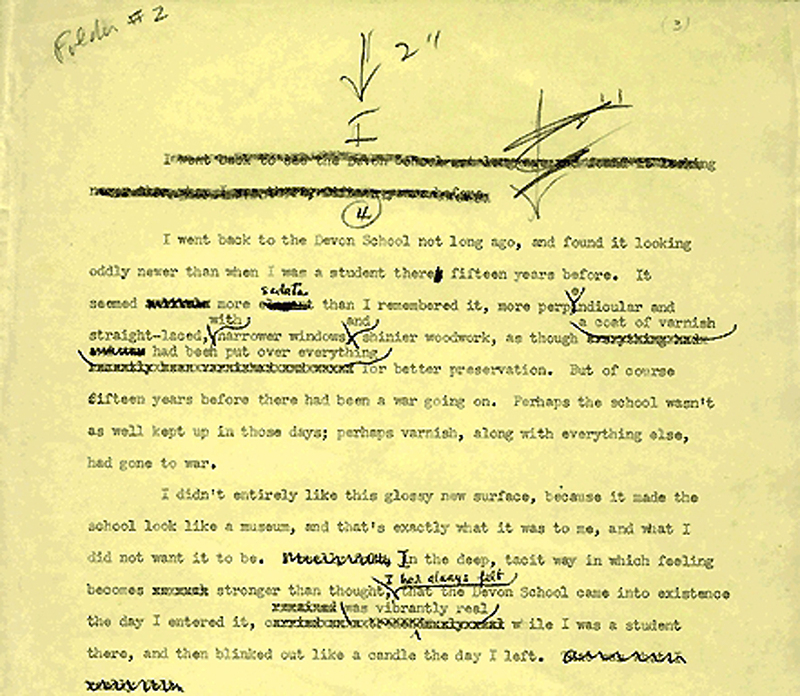 A Separate Peace: 1959 manuscript. A Separate Peace. London: Secker & Warburg, 1959. A Separate Peace. New York: Macmillan, 1960. A Separate Peace. New York: Dell Pub. Co., 1966. A Separate Peace. New York: Scribner Classics Edition, Simon & Schuster, 1996. A Separate Peace. CMS Records CMS 521, 1967. A Separate Peace. Listening Library,1975. A Separate Peace. Prince Frederick, MD : Recorded Books, 1991. Spreading Fires. New York: Random House, 1974. A Stolen Past. New York: Holt, Rinehart and Winston, 1983. Tomodachi (Friends). Trans. by Shizuo Suyama. Tokyo: Shiromizu, 1972. A Vein of Riches. Boston: Little Brown, 1978.